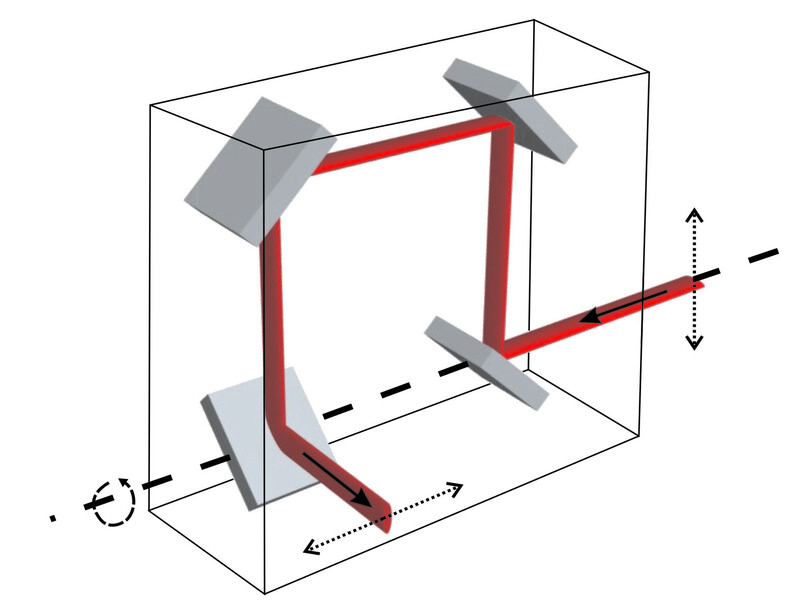 The device is based on the principle of the simple polarization rotating periscope. 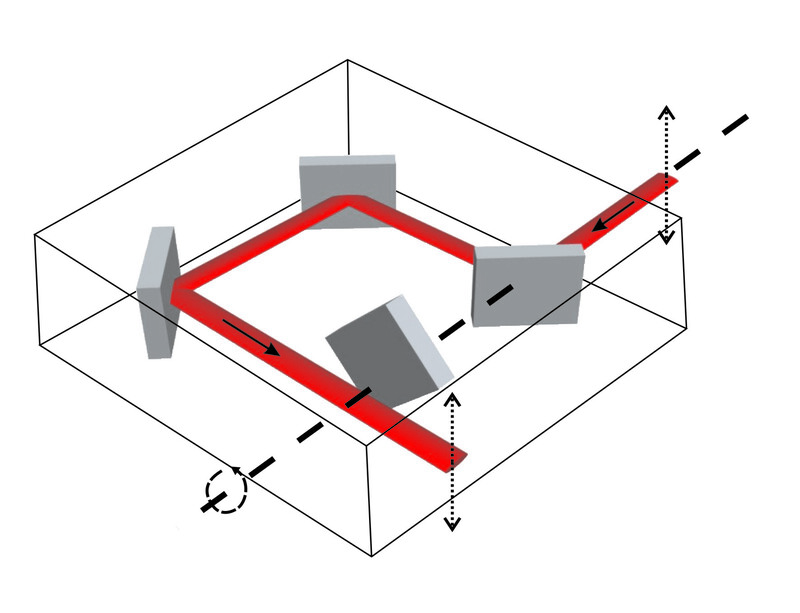 Using a flip mirror and 90o rotation of the device, the polarization and the orientation direction of the beam profile of almost any type of laser can be changed by 90o without affecting the optical path length. The standard 1”-diameter mirrors are replaceable to adapt to different wavelength ranges and wavelength discrimination can be achieved using dichroic optics. 1): Larger beam diameters available upon request. 2): Depends on the mirror set. A basic software is provided to capture images in various formats (ascii, bmp, tiff, png, jpg). MePS, high accuracy beam rotator for 2D charactersiation of the beam.